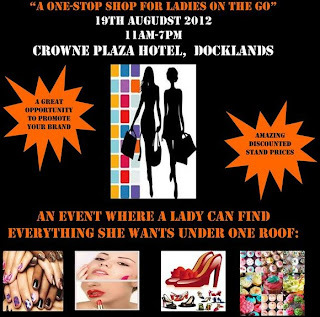 The 2 Inspire Network is hosting a 'Ladies Day Out' on the 19th August (2012) at the Crowne Plaza Hotel, in the Docklands (see flier below). According to their Facebook site "2 Inspire provide platforms that enables women in business and those interested to promote, network & communicate. A place where we can all share, learn & grow". All the vendors will be female businesswomen and entrepreneurs showcasing fashion, jewellery, hair and body products as well as beauty and complimentary therapies. Ever wanted to try a complimentary therapy?